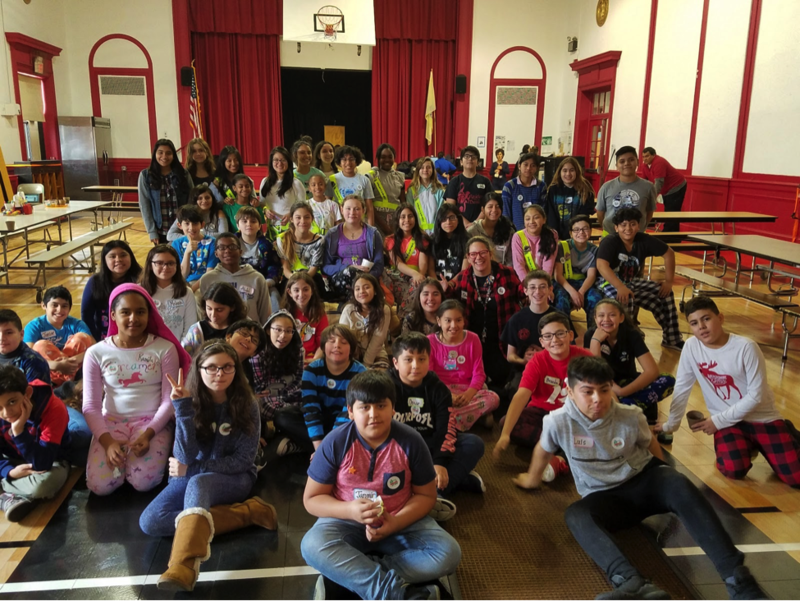 The NJ Faire was hosted by Ms. Mollinedo, the school librarian, and the students in the 5th and 6th grade thanks to a mini grant of $500.00 from NJ Stem Pathways Network and the support of the state NJ Makers Day team. The goal of this statewide event is to celebrates, promotes, and in many cases may introduce maker culture, as well as the values associated with making, tinkering and STEM-based learning. The students worked in groups to create activities that students in grades 1 to 4 could participate in. The visiting students were able to visit different stations ranging from constellation making, coding, arts and crafts (dream catchers and jewelry boxes, origami), LEGO building, K’Nex building, robotic scribble bot, planting flower and vegetable seeds, making bath fizzies and rainbow in a jar creations and even crawl through a student designed maze tunnel. We are looking forward to making NJ Makers Day an annual event!